I am passionate about teaching kids. All ages are welcome. My students feel like they can take on the world! I make sure every lesson is both fun and enriching. I provide a clear lesson plan complete with goals, achievement levels, and performances. I use practical methods of teaching that help promote academic achievement. I do not overbook myself, so every one of my students gets my full attention. Music lessons promote better grades, higher self-esteem, confidence, social skills, and so much more. I teach more than just music, I teach the whole student. I hold a Master's Degree in Music Performance and a Bachelor's Degree in Music Education. I am ready to work with motivated and passionate students! Hi, there! My name is Matthew and I can't wait to meet you! I've been teaching private lessons since 2012 and have loved helping my students find passion in music, reach their goals, and feeling like rock stars. I went to Bowling Green State University and earned a Master's Degree in Trombone Performance. I also went to Minot State University to earn a Bachelor's Degree in Music Education. I'm a fun and exciting person and my teaching style is practical, honest, and engaging. I look forward to helping you reach your goals! I am dedicated to high-quality teaching. My students come first and I use all of my energy to deliver my best self. The Benchwarmerz Brass Band is a brass and percussion performing group at Valley Fair Amusement Park in Minnesota who performs and entertains guests visiting the park. Fire and Ice is the newest premiere show at Cedar Point Amusement Park. It is a 12-piece band with a horn section that features the current popular songs of today. The Beach Band Brass Band is a traveling brass and percussion group that entertained guests at Cedar Point Amusement Park. During the summer I worked in this band, Cedar Point awarded the group with the Corner Stone Award, the highest award a musician can receive at Cedar Point, for a dedication to service and entertaining guests. I was hired to play trombone for these operas: Magic Flute, Carmen, Gianni Schicchi, and Pagliacci. This is my license to teach in public and private schools. 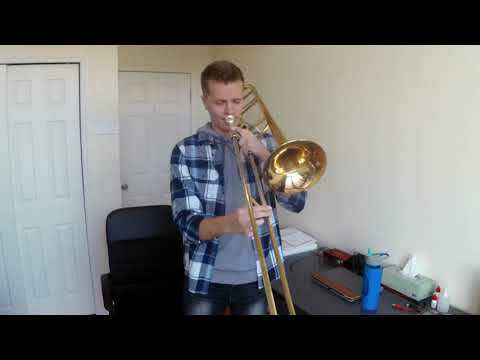 This is an etude from one of the books that I have my students play from. Matthew served as a Teaching Assistant for our college ear-training courses. 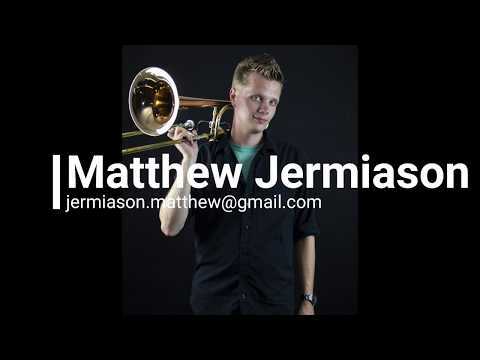 He is positive, encouraging, well-trained in all aspects of music and musicianship, and has my highest recommendation as an instructor for all levels of brass and peripheral music training.